Your or you're? Proceed or precede? Stationary or stationery? The English language contains many words which can confuse learners and native speakers alike. It's common for a word to have several meanings or to be pronounced and spelled the same as others, that's why it's easy to make mistakes. 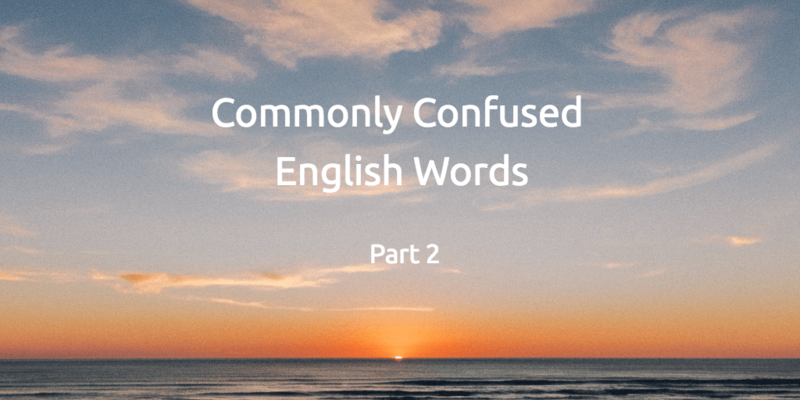 This is the second instalment of the Commonly Confused English Words series which explains the difference between pairs of often confused words in English. The word farther relates to physical distance, which is why it contains the word far. We use the word further when talking about anything other than physical distance. This electric car can travel farther than any other before the battery needs to be recharged. Donations allowed the research to go further than ever before. Not only are these words spelled in a similar way, they can sound identical in conversation due to the speed that many people speak. Both verbs relate to the order in which events occur. When an event comes before another, the first event precedes the second. We use the word proceed to describe the process of moving forward. His Oscar win was preceded by several unsuccessful nominations. Let's proceed with the original plan to avoid any surprises. With only one letter to differentiate these two words, it's easy to forget which is which. Stationery is a noun relating to supplies you might find in an office. Stationary is an adjective to describe something which is still or motionless. Here's a handy mnemonic for you; stationery contains an e, as does envelope. Stationary contains an a, as does statue. The accident happened when a car crashed into a stationary truck. We're out of staples. It's time I went shopping for stationery. While these two adverbs are identical in pronunciation, that's where the similarity ends. Formally is used to describe official or professional etiquette. On the other hand, formerly modifies a past action. The Chancellor was formally invited to the gala. Myanmar, formerly Burma, was renamed in 1989. This is one of the most common mistakes made by native English speakers. Your is used to show ownership or possession. You're is a contraction of the words You + are. Mick Jagger sang backing vocals on Carly Simon's hit song "You're So Vain". Exercise: Now it's your turn. Fill in the gaps in the sentences below with words from this blog post. Always dress __________ for job interviews. Please ask __________ father to come in when __________ ready. Adjectives often __________ the nouns they modify. The car was __________ at a red light when the cyclist collided with it. These are just a few of the the words which can confuse English learners. Can you think of any more? Post your answers in the comments section below and I will include them in the next Commonly Confused English Words blog. 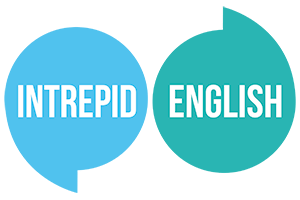 If you have any questions, you can contact us here or email us at Intrepid English. If you enjoyed this page, take a look at the rest of the Commonly Confused English Words series.